Indian weddings are beautiful and festive. When you are getting married in Melbourne, it’s important to incorporate various aspects of the Indian culture into your ceremony and reception if this is part of your heritage. We can help you find the best songs for weddings and even make recommendations on the best venue choices. Here are some Melbourne Indian Wedding Ideas and Popular Venue Choices. You may want to bring in the Indian culture in a variety of different ways. Be sure to choose your wedding colors in advance to ensure that the venue and your flowers all coordinates beautifully. You may decide to go with a traditional red Indian wedding dress. You may also decide to go with white and use red in various other ways, such as using a red sash or wearing red shoes. Elephants are a sign of good luck. You can find various ways to incorporate lucky golden elephants throughout your wedding, including finding place card holders to show everyone where they need to sit at your reception. It is traditional to have tattoos placed on your hands and feet for your wedding day. 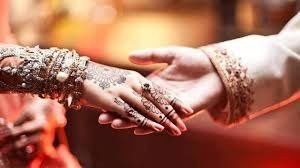 You may want to consider having your wedding at a day spa that has someone experienced in henna tattoos in order to help you. It will also ensure that nothing rubs off between the time that it’s done and the time that you walk down the aisle. Cakes and cake pops are quite popular. These can be themed for your Indian wedding. Work closely with your baker to have pink, turquoise, purple, and other fondant’s used. The same henna designs on your hands can also be incorporated into the cake. Whether you are setting up a traditional Indian wedding ceremony or you are looking to bring in certain components of one, you need to work with a venue that understands the culture. We can also help you find a wedding singer that will provide the best wedding entertainment for you. Rustic wedding venues tend to be the best for Indian weddings. The venue you choose will depend greatly on where you want to be located and how many people you are inviting. This venue is located in the historic arts hub. There are a total of 11 historic buildings on 16 acres of property. There are vineyards as well as a rustic barn on the property. You also get to have views of the stunning Yarra Valley. These gardens are iconic across Melbourne. The venue provides a breathtaking backdrop and there are rustic Gardens on premises. There are 3 acres of formal gardens here as well as a beautiful ballroom. Additionally, this venuehas experience with Indian cuisine. From there, we can also ensure you have one of the best wedding bands providing you with great music. You may have a few other ideas in mind in terms of where you want to get married or have your ceremony. There are plenty of barns, estates, and other venues across Melbourne. We have plenty of experience providing a wedding band in Sydney and Melbourne, too, so regardless of where you choose to have the festivities, you can ensure that good music is only a call away. Lily Road has been identified as one of the best wedding bands in Australia. When you are looking for a wedding singer for your Indian wedding, you can count on us to be your Melbourne wedding band. We have experience throughout Australia, including being a Sydney wedding band. Check out the videos and live shows pages! For more information please contact greg@lilyroad.com.au.